Tiara del Sur brings to you a housing project for family’s to start a new home. 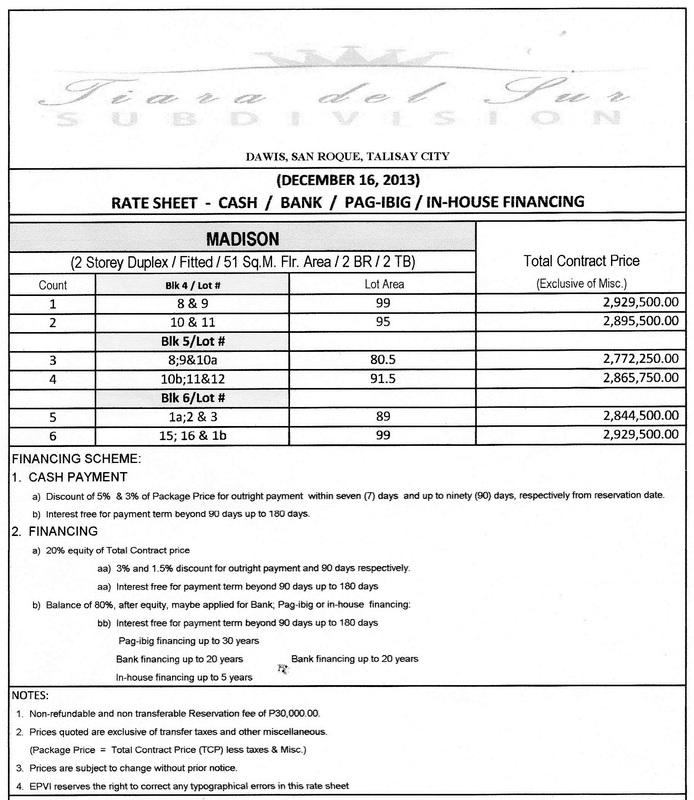 With a select of house models to choose from that befits the family’s budget. Nestled in the heart of Talisay City; the home of the famous & delicious Talisay lechon. 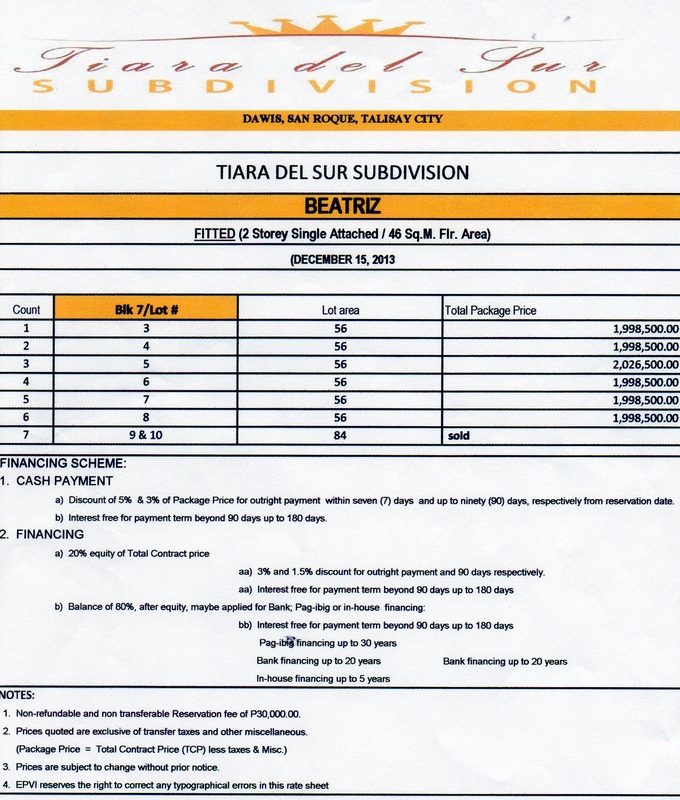 Tiara del Sur is highly accessible from or to the neighboring Metropolis via the wide stretch of the SRP road. It is within the upcoming business hub of the South Road Property’s in which will rise the biggest SM Mall. A residence for the working class, its proximity to the road makes it convenient to public conveyances. An ideal place for working father’s reporting to the work area, for house mother’s ease commuting to the grocers and for Kids daily school routine. Choose from the three well planned house designs depending on your budget and space requirement. 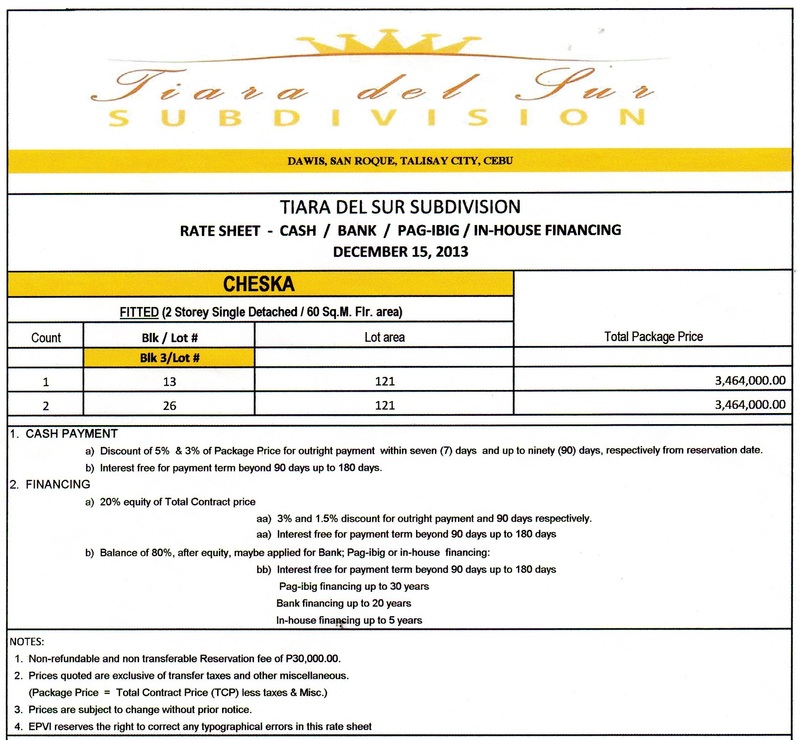 Please mention "TIARA DEL SUR" with your comment in the comment box when you have inquiry.